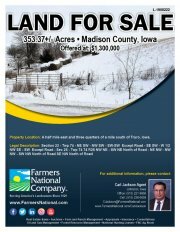 Auction March 8th, 2019 - 523 acres m/l (subject to survey) located in Grove Township of Pottawattamie County Iowa. Property offered in 6 tracts, with CSR 2 ratings ranging from 66 to 75. Development Opportunity - Excellent Location! 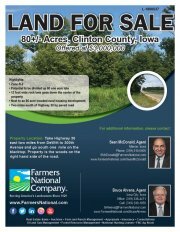 143.12 acres located on Highway 92 outside of Council Bluffs, Iowa. 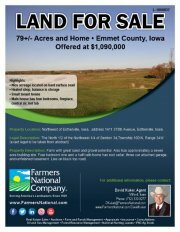 Property features a large pond and 108.27 acres of CRP land. 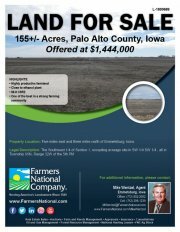 Farm with Great Sand and Gravel Potential!